Welcome to the home of the Siouxland Soccer Foundation and United Recreational Soccer League. For more than 20 years the Siouxland Soccer Foundation has been providing recreational and competitive soccer opportunities for kids of all ages and skill levels. Our purpose is to promote and develop the sport of soccer within Sioux City, Iowa and the surrounding Siouxland area. If you have any questions about who we are or what we do please give us a call or send us an email. The United League is intended as a fun and recreational soccer opportunity for kids aged 4 to 13. For more than 20 years the United League has been the premier recreational soccer league for kids that want to get out, exercise, have fun and learn the game of soccer. We now provide games for more than 1,000 players each year. Games are schedule evenings during the week at either 5:45p.m. or 6:45p.m.. If you have any questions feel free to contact us at 712-333-6580 or by email at unitedleaguesoccer@gmail.com. The newly organized nonprofit organization, TIME4Haiti is taking a team to Haiti in July where, among other things, we will be hosting a youth soccer camp and girls soccer tournament. We are looking for donations of used equipment that we can take with us. Children in Haiti are passionate about soccer. Unfortunately, due to the poor economy many children have no alternative but to play barefoot. Sadly, the fields are nothing compared to those we are blessed with in the U.S. Many are dirt fields with rocks and animal feces. Children get infections, tetanus and have other issues with their feet and with limited medical care in Haiti many medical conditions go untreated. God has led us to start soccer and basketball programs in the village of Laffiteau and we are excited for our first girls soccer tournament and youth camp. If you have any used uniforms, shoes, socks, shin guards, goalie gloves, balls, cones, or anything else you think we could use please contact me at jdmartin@longlines.com or by phone or text at 712-251-0682. By helping the children of Haiti you are furthering the kingdom of God. The Siouxland Soccer Foundation looks to support all programs around the area that grow and develop soccer. If you would like to learn more, have a program that needs support or support us in our efforts please contact us. 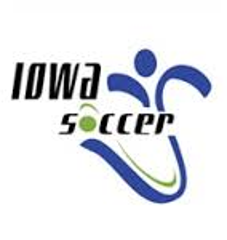 The SSF is associated with the State of Iowa Soccer Association. ©2019 Siouxland Soccer Foundation / SportsEngine. All Rights Reserved.